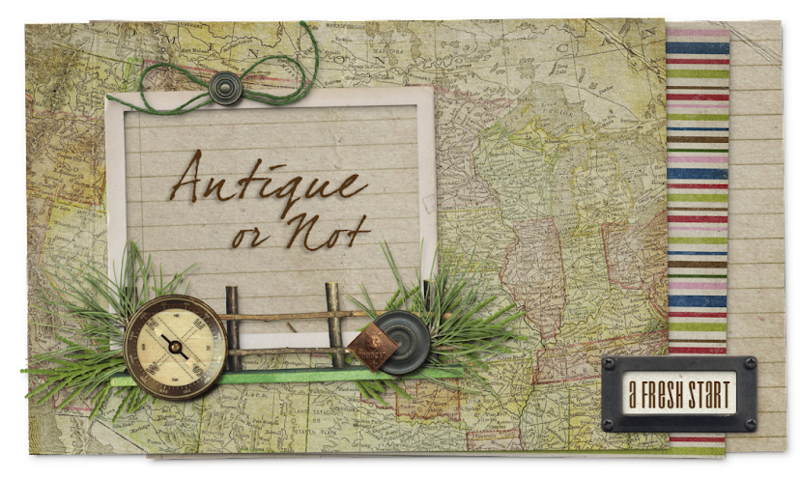 Antique or Not: Isn't Decorating Fun? You know, for someone who doesn't spend very much time decorating my own home, I sure have a lot of fun decorating at the shop! I got in really early this morning due to a scheduling mixup and started reworking a booth that had come available. It's always sad when one of my vendors leaves, but at the same time gives me a whole new "canvas" to work with and that's what I was playing with today. Hubby and I brought in a vintage oak pedestal table with four pressed back chairs last night. This morning I set it with some Park Designs "Cabin Quilt" table linens and their "Village" dinnerware in the persimmon/red color. The centerpiece is an antique pottery jug with some fall berry picks. Handstitched pillows are tucked into each chair, and a treenware bowl with primmed up country eggs was added. I've been dying to set up a "laundry" display and finally got my chance today. I started with an antique wood ironing board topped with nesting boxes, colonial checked dishtowels in burgundy and blue, a prim baby dress, and some grubbied clothes pins. A laundry stitchery is on the wall above the ironing board. What you can't see in this picture is the vintage box of Ivory Snow on the shelf above the quilt, and the antique rug beater on the wall. Soon I'll dig out my old sad irons and trivets to complete the look, but I ran out of steam today. I'll put one on top of the ironing board and will sit some of the others in the primitive toolbox underneath the ironing board. Here you can see the whole effect. There is a shelf with a quilt rod behind the table with a new prim quilt. An antique apple butter paddle is hung from the wall, along with a barn star, some cute sayings plates, a backgammon board, wood signs, and other goodies. Behind the table is a wood firkin topped with a braided chair pad and a lamp with a punched tin shade, and an antique copper tub is tucked underneath the silk tree. On another note, I wanted to thank you sweet folks for your concern. The MRI that was scheduled for this morning didn't happen; it's actually scheduled for tomorrow morning but I got my dates mixed up. So I have to get up at 5:30 AGAIN tomorrow, and do it all over again. Yes, I actually went all the way to the doctor's office only to be told that I was 24 hours early! The reason for the MRI to figure out where exactly my ulnar nerve is pinched in my left arm (your ulnar nerve runs from your spinal cord in your neck area all the way down your arm; it's what gives you that tingly feeling when you hit your "funnybone"). Several months ago I noticed that my grip strength was becoming really weak; I started having to have Hubby open jars for me that normally I'd have no trouble with, and opening a package of shredded cheese was a real challenge because I couldn't hold onto the package tight enough to rip off the top. Then about three months ago I noticed a tingling, then a numbness in my left pinky finger. Within a few weeks the numbness had spread to the left ring finger, then to the outside of the left hand. Then I started getting left shoulder pain, and shooting pains in my left shoulder blade. The final straw was when I woke up one morning with my neck locked up. I thought I had slept on it "wrong" and that it would work itself out, but that didn't happen. A week later I went to a chiropractor and he was able to help with the stiff neck, but the finger numbness has stayed and is apparently due to a pinched nerve. Lucky for me my chiropractor knows what he doesn't know and was smart enough to refer me to a neurosurgeon for more testing quickly. So the MRI is to try to determine where that nerve is pinched, and the nerve conduction test on Wednesday is to determine how much the nerve is pinched. What happens after that is anyone's guess. I have no clue yet what treatment the doctor will recommend. All I know is that typing has become very difficult for me with two numb fingers, I'm tired of my hand hurting and tingling, and I'd like to get my grip and manual dexterity back. I'm tired of my shoulder hurting all the time and I'd like to be able to sleep on my side again. Running the shop will definitely be a lot easier once this is taken care of, that's for sure. So that's my story. And thanks again for your concern. It's so nice to have such sweet friends in Blogland! Sounds like you could use it too-Until you get this deal with your arms/shoulders/neck and fingers worked out. On another note...I love what you have done to the shop. It is wonderful Pam. Thanks for the update-Keep us posted. I hope that everything works out for you with the MRI and it's just something that can be cured easily. Your decoratin in your store is wonderful, I love the jug on the table...the ironing board is so prim with the towels and adding the sad iron will make it look even more primer! I love your new area!! It looks awesome and the table setting is just perfect..good job shopkeeper!! Your store looks wonderful~I'd love to come shop there. I want that tool box ! :-) I hope all goes well with your MRI tomorrow. I love the decorating you did at the store. Love the ironing board and what you did! Hope your MRI goes well and you get things taken care of. Pam, I hope all goes well with your MRI. It is always a nerve-wrecking when you don't know excatly what is going to happen and what caused it. I love what you did to your newly opened space! The laundry area is to die for! Yep the old ulnar nerve... take care and have fun at the nerve conduction study. LOL. I do hope though that they will help you to feel better by finding the problem. Thanks so much for stopping by and entering my giveaway. Hope everything went well with the MRI. I recognize a few of my prim goodies! It's so nice to see them there. Hopefully, they won't be there for very long!